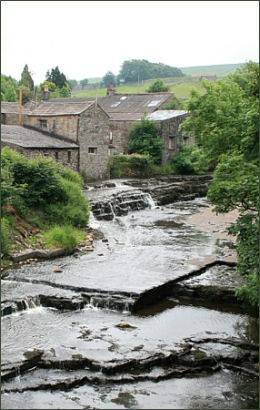 Bainbridge, or to give it its full name, Brough-by-Bainbridge, is an attractive Yorkshire Dales village, situated in beautiful Wensleydale, just three miles from Hawes. It stands near the confluence of the rivers Bain and Ure. The River Bain, a stream rising in Semerwater, at just around two and a half miles long is reputed to be the shortest river in England. The Romans knew Bainbridge as Virosidum and the remains of a Roman Fort are just a short stroll to the east of the village, on the other side of the river, on Brough Hill, where various Roman remains have been uncovered. The earliest fortifications at Bainbridge date, apparently, from the end of the first century and may have been the work of Agricola during one of his northern campaigns. The foundations cover an area of more than two and a half acres, and are remarkably complete. Although the stones of later, fourth-century buildings have been at some time almost all removed for the building of the cottages in the neighbourhood, the various occupation layers have remained in situ, and the flagged floors of the fort still survive some two or three feet below the surface of the soil. 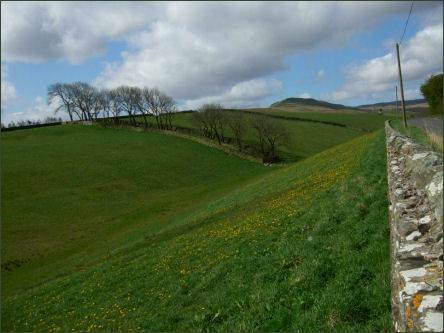 The Romans road here is now a green route loved by walkers and mountain-bikers. Nearby is Cam High Road, which follows the line of a Roman Road, now a green route popular with walkers and mountain-bikers. At the time of the Norman invasion Bainbridge did not exist, there is therefore no entry referring to it in the Domesday Book of 1086. The site was at that time covered in forest and known as The Forest of Bainbridge, alluding to the bridge crossing both the Bain and Ure at this location. Following the Norman conquest the lands were owned by Alan Count of Brittany, a relative of William the Conqueror. In Norman times the area was known as The Forest of Bainbridge, in reference to the bridge crossing both the Bain and Ure. Between 1146 and 1170 Conan Earl of Richmond granted the wardship of the forest to the lords of Middleham. They built the manor and village of Bainbridge. Towards the end of the twelfth century a dispute arose between the Abbot of Jervaulx and Ranulph, son of Robert Fitz Randolph, regarding the construction of more houses in the village. Ranulph's argument was that the town existed before he became lord. Ralph Earl of Chester was requested to resolve the matter in 1229. 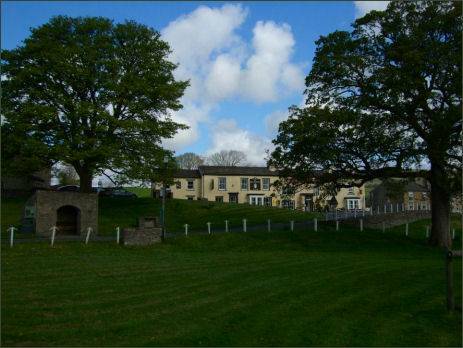 Ranulph stated that "the town of Beyntbrigg belonged to his ancestors by service of keeping the forest, so that they might have abiding there 12 foresters, and that every forester should have there one dwelling-house and 9 acres of land." The lords of Middleham had not held the office of Forester since 1280, when Peter of Savoy, Earl of Richmond, had distributed land in the manor to tenants to hold. Bainbridge followed the descent of the manor of Richmond till 1413, when King Henry IV granted it to Ralph Neville, Earl of Westmorland the manor, town and bailiwick of Bainbridge. The aristocratic Neville family were also lords of Middleham Castle at the time and owned the lands around Bainbridge until 1628 when it was granted to the City of London. 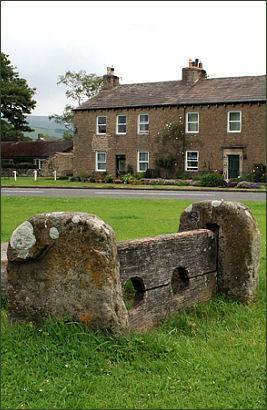 The quaint village green, which is surrounded by grey stone cottages, is extensive and of an indeterminate shape, and comes complete with seats and a set of ancient village stocks. Bainbridge has an inn, the Rose and Crown, a small village shop with post office and a local butcher. 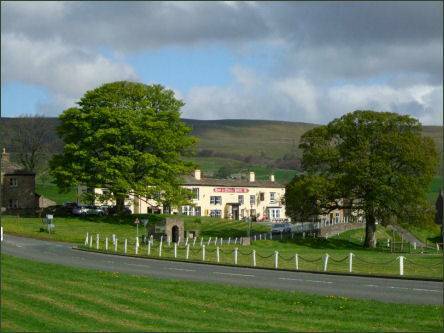 An equestrian centre offering riding lessons and local trekking can be found a short distance away at Gill Edge. There are a number of tea shop facilities for tourists. 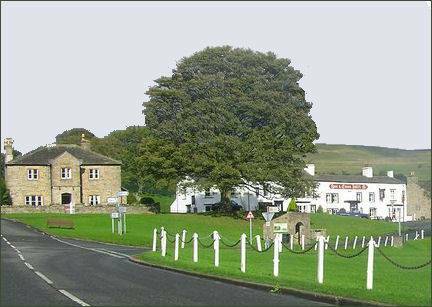 The village's only pub, the Rose and Crown (pictured right) , is reputed to be one of Yorkshire's oldest inn, having been in operation since 1445. The Rose and Crown now has three bars one of which has a large log fire, a beautiful restaurant which overlooks the village green and offers accommodation. 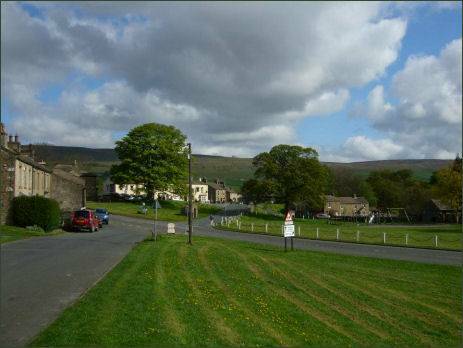 A quaint local custom in Bainbridge is the sounding of an ancient horn which was once used to guide foresters and travellers safely to the village from the surrounding Wensleydale forests. The horn is still located at the Rose and Crown and is sounded every night at 10 pm from Holy Rood (27 September) to Shrove Tuesday. The parish had Wesleyan and Congregational chapels, built in 1836 and 1864 respectively. The former is still in use as a Methodist chapel; the latter is now a house. The Quaker Society of Friends has been present in Bainbridge since the 1600s. The present Bainbridge meeting house is simple in style and was built in 1836 to replace a cottage bought in 1668. It is a Grade II listed building. The burial ground has been in use since 1672.